I love these little green bees. They look like they're made of gold and emeralds, little flying jewels. You can see in this photo how much smaller this green sweat bee is than a honey bee and they compete for the same food sources on the same flowers. 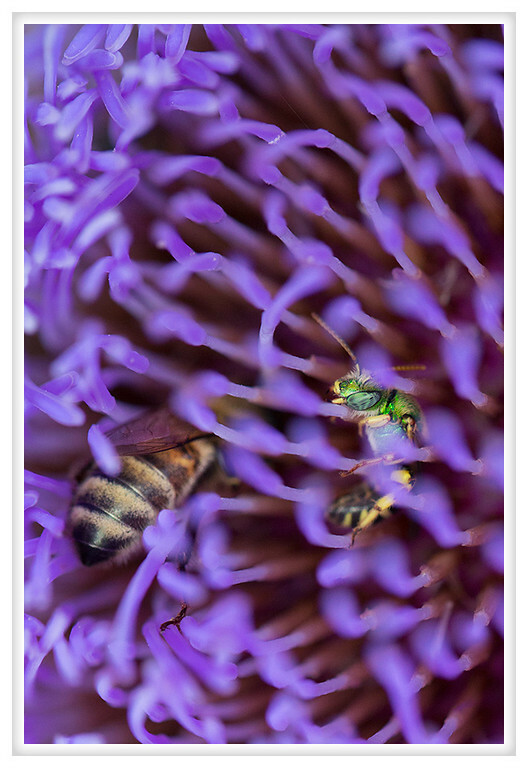 The fact that he is buried in the purple flower of an artichoke just heightens the contrast and keeps things colorful.